Onomichi is famous for slopes, temples and arts, and as such a good location for movies. 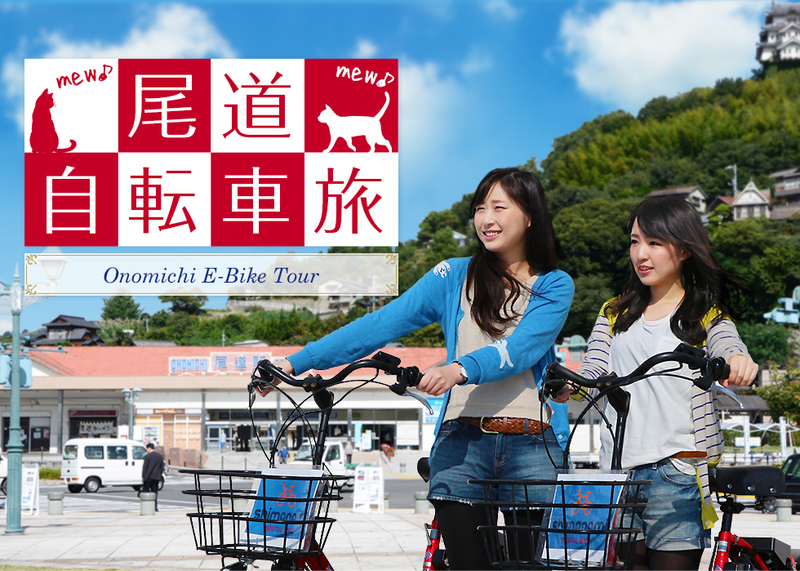 Why don't you get an electric bicycle to take a stroll around in Onomichi, which is called "The Town of Slope"? You can go easily to tourist attractions, old temples or locations for movies with it! Enjoy the relaxing view during your ride. We have 10 electric bicycles for rent from "Docomo Bike Share." Buy an IC card at the front desk. Press START on the control panel of the bike and hold the IC card over the card reader. 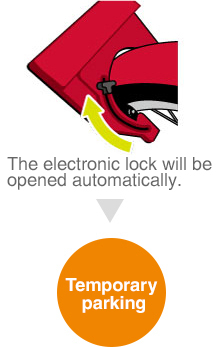 The electronic lock gets opened automatically. 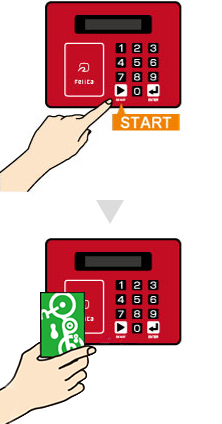 ※If the IC card gets no reaction, try to hold the IC card over in a variety of directions. Access the following website below and enter your information step by step. Request a bike and get the passcode. Next, press START on the control panel and enter it to use. When parking the bike to walk around or for meal, you can lock it in the following steps. Park the bicycle and lock the bike manually. A confirmation email is sent to a registered user upon locking successfully. To unlock, press START on the control panel of the bike. IC card users: Hold the IC card over the card reader. Passcode Users: Enter the passcord you have. Please return the bike back to where it was. Return the IC card at Onomichi Tourist Information Center. Park the bike at the place and lock it manually. Press ENTER on the control panel to complete the return process. The green LED on the panel blinks at the returnable area. A confirmation email is sent to registered users upon returning the bicycle. Please wait a couple of seconds before stepping on the pedals. The electric motor runs from the moment you press the power button, so please be careful when begin to cycle. Please check the battery level before using a bicycle. Q.Is there an height or age limit to use a bike? A.There is no age restriction but users should be at least 145cm tall or they might not reach the pedals or be able to ride safely. Q.Is it possible to rent children's bikes? A.Unfortunately there are no bikes for children. Users must be at least 145cm tall. Q.Is there a child seat? A.Unfortunately the bikes are not equipped with child seats. Q.How can I rent a bike? A.Register on the website and fill in a bike rental request online. Bicycle is located in a docking station. ★If you rent a bike directly at Onomichi tourist information center you won't need to register yourself but only to fill in the request form. Q.How can I return my bike? A.To return your bike simply dock it back at a docking station, lock the rear wheel manually and press ENTER on the control panel of the bike. Q.Is it possible to book a bike? A.You can book a bike from your Profile Page until 1 hour before you. Q.Can I cancel my reservation? A.You can cancel your reservation from your Profile Page. However, your reservation will be automatically cancelled if you don't unlock a bike within 1 hour after booking. Q.Where can I find a bike? A.You can find the location of the docking station on the homepage or on your Profile Page. Q.Is there any place other than a station where I can return my bike? A.Please make sure you return your bike at a docking station as there is no other place where you can return it. Q.What should I do if the electric motor runs out of battery while I'm using a bike? A.You can switch for a non-electric bike before you resume your journey. However, it is important that you return your bike before the battery runs completely out for you won't be able to dock the bike back to a station nor to lock it if the battery is empty. Shoud it happen, please call the support center(0848-22-3911) immediately. Please make sure you check the battery level on the panel of the bike before you begin your ride. Q.How can I check the battery level of my bike? A.Please check the bar graph indicating the level of battery on the panel of your bike. Q.Can you replace the battery or the bike if the battery runs out along the way? A.Unfortunately we can't replace your bike nor the battery as we don't provide such service. (1) Are you in a station within the designated area? (2) Did you lock the rear wheel? Q.I forgot the 4-digit password. What should I do? Q.Because I entered wrong password 3 times, A001 was shown in the control panel of the bike. What sould I do? A.Wait for few minutes, the control panel will be enterable again. Please enter correct 4-digit password. A.Access the register page, enter your name, cellphone number, credit card number...etc, then you can complete the registration process. Q.Can I use a bike even if I don't have a credit card? A.You can pay by docomo cellphone payment function or we also offer payment in cash in the accommodations. Q.I didn't reveive any email after procedure has been completed. A.Did you set up the junk email filter? If you did, please add "docomo-cycle.jp" to the "never send it to spam" list. And because there are URLs in the email as the occation demands, so if you set the function that rejected any email with URL in it, please change the setting. Q.What are your bussiness hours? A.9:00 to 18:00 and will be. Q.How much does this service cost? A.Please check the rate plan. Q.Can I check my personal ride statistics and the fees? A.Register on the website and you can check all these information in your Profile Page. Q.When is the payment deadline? A.The payment deadline differs in your credit card issuer. Q.Does it charge any cancellation fee? A.No, it doesn't charge any cancellation fee. 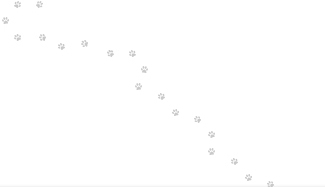 Q.What can I do in my Profile Page? A.You can make a bike rental reservation, search for the bike station, check the parking availability, check rental history, and confirm or change your reservation. Q.I forgot my ID or password of Profile Page. What can I do? A.We sent an email with your ID and password in it when you registered, please check the email again. If you already deleted the email, please access the login page, enter your date of birth and email address to confirm you ID and get new password. Q.What can I do when bike gets damaged or stolen during the rental period? Q.What if I am involved in an accident? What can I do? A.If there has been an injury, please dial 119 first. About the accident, all the renters are covered by injury insurance, but there are situations that are not in the coverage. Rental fees include insurance When the accident happened, please inform us at the earliest appropriate time about the place, date, time, causes and the situation of the accident. If needed, contact the police as well. 1：In principle, bicycles must be used on the road, not on the sidewalk. 3：Give way to pedestrians when riding on the sidewalk by riding slowly on the side closest to the road. A party which has entered into a Member Agreement with SHIMANAMI JAPAN concerning the bicycle sharing system in accordance with Article 3. A member who is an individual is referred to as an individual member. Bicycle provided by SHIMANAMI JAPAN for members to use. A set of bicycle docks used for the rental,return,and storage of bicycles. Control device that locks and unlocks a bicycle. 1.SHIMANAMI JAPAN will enter into an agreement (hereinafter, “Member Agreement”) with individuals set forth in this Agreement in relation to the Shimanami Rental Bike Service (hereinafter, “Cycle-Sharing”) operated by SHIMANAMI JAPAN, and will provide a bicycle rental service for the individual members during the membership period. Matters not established in this Agreement will be determined by law and general customary practices. 2.SHIMANAMI JAPAN may prepare a user manual. In such case, the user manual will be given priority if any discrepancies should arise between this Agreement and the user manual. 3.This Agreement shall apply to all members. 1.After first agreeing to the terms and conditions of this Agreement, individuals who wish to join the bicycle sharing system will apply for a Member Agreement according to the method specified by SHIMANAMI JAPAN. An applicant who is a minor must obtain the consent of a parent or guardian before applying. 2.A Member Agreement will be established when SHIMANAMI JAPAN approves the application of the individual who wishes to join the bicycle sharing system as stated in the Paragraph 1 and 2 above. 3.When any one of the following applies to an applicant, SHIMANAMI JAPAN may refuse to enter into a Member Agreement with an applicant. （1）The individual is less than 145 cm tall. 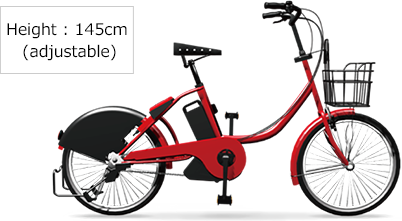 （2）The individual is a person SHIMANAMI JAPAN believes will have physical difficulty riding the bicycles provided by SHIMANAMI JAPAN under the bicycle sharing system. （3）The individual has been delinquent in the payment of past rental charges. （4）The individual is believed to be a member of a gang, have an affiliation with a gang, or belong to an antisocial force. （5）The individual is under 13 years of age and refuses to wear a helmet. （6）The individual does not agree to the terms and conditions of this Agreement. （7）In addition to the above, any other individual SHIMANAMI JAPAN believes to be unsuitable. 4.Persons who may use the bicycles will be limited to individual members. 1.The member will select an agreement type and method of payment offered by SHIMANAMI JAPAN in the Member Agreement. 2.The member will pay the charges established in Chapter 5 in accordance with the selected agreement type and method of payment as stated in the preceding Paragraph. 1.If there is a change in a member’s personal information, agreement type or method of payment selected by the user, etc. indicated by the member to SHIMANAMI JAPAN at the time of application for a Member Agreement, the member will immediately inform SHIMANAMI JAPAN of the details and obtain SHIMANAMI JAPAN’s approval. 2.SHIMANAMI JAPAN may refuse to approve a change stated in the preceding Paragraph or may cancel the Member Agreement if SHIMANAMI JAPAN deems that the nature of the said change notified in accordance with the preceding Paragraph will pose a problem in SHIMANAMI JAPAN’s delivery of services. When any one of the following applies to a member, SHIMANAMI JAPAN may without giving notice or warning temporarily suspend the member’s use of the service or may cancel the Member Agreement. （1）When the member has violated this Agreement or other agreement established between SHIMANAMI JAPAN and the member. （2）When the member has caused a traffic accident during use of a bicycle. （3）When the member is delinquent in payment of the charges stated in Chapter 5 or the payment of any other charges under this Agreement even once. （4）When Article 3-4 applies to the member. （5）In addition to any of the above circumstances, when SHIMANAMI JAPAN is unable to make contact with the member, when the member has provided false information when joining the bicycle sharing system, or when for any other reason SHIMANAMI JAPAN deems the member’s continuation of use of the bicycle sharing system is inappropriate. 1.SHIMANAMI JAPAN may unilaterally cancel this service when SHIMANAMI JAPAN deems its continuation to be difficult due to the inability to provide bicycles or the bicycle sharing system in whole or in part, or due to any other reason. 2.In the event of the preceding Paragraph, SHIMANAMI JAPAN will give notice to members and will terminate the Member Agreements. Members will not be required to pay basic fees from the day the Member Agreements are canceled. A member may cancel the Member Agreement upon receiving the approval of SHIMANAMI JAPAN. In such case, the member will pay the basic fees up until the day of cancellation of the Member Agreement. SHIMANAMI JAPAN will make public on the website prescribed by SHIMANAMI JAPAN the duration of the period it intends to conduct this service. SHIMANAMI JAPAN may without prior notice amend the said duration due to weather or other reason that may affect operation. If SHIMANAMI JAPAN deems it difficult to provide a safe service due to a natural phenomenon, local event or other reason, SHIMANAMI JAPAN may temporarily suspend the service in whole or in part upon notifying members according to a method SHIMANAMI JAPAN considers appropriate including but not limited to the website prescribed by SHIMANAMI JAPAN. SHIMANAMI JAPAN will do the same when it recommences the service after the reason for suspension ceases to exist. SHIMANAMI JAPAN will not refund charges relating to the period of suspension of the service. 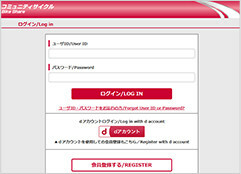 1.Members and will appropriately manage at their own responsibility the ID and password provided by SHIMANAMI JAPAN at the time the Member Agreement is concluded and the unlocking passcode at the time of rental of the bicycle, and will not disclose or reveal these to a third party or allow use thereof by a third party. 2.SHIMANAMI JAPAN will accept no responsibility in the management of an ID, password, or unlocking passcode except when due to an event attributable to SHIMANAMI JAPAN. Any use of an ID, password or unlocking passcode or any other such conduct by a third party will be deemed to be use of the aforementioned by the member in question. 3.A member will immediately notify SHIMANAMI JAPAN when his/her ID, password or unlocking passcode is stolen or used without authorization, or there is a likelihood thereof. 1.When a member intends to use a bicycle, the member may apply to book in advance an individual rental agreement (hereafter, "individual agreement") for a bicycle according to the method prescribed by SHIMANAMI JAPAN by indicating the preferred bicycle and cycle port for receiving the bicycle. After taking into consideration other existing reservations, SHIMANAMI JAPAN will, insofar as possible, endeavor to arrange the reservation as requested. 2.If the member fails to take procedures to pick up the bicycle as stated in Article 14-1, after the lapse of the period of use specified by SHIMANAMI JAPAN, the member’s reservation will be automatically canceled and the member will agree to this. 3.If SHIMANAMI JAPAN is unable to provide a bicycle for rent according to the conditions booked by the member, SHIMANAMI JAPAN may unconditionally cancel the said booking even after the booking has been established. 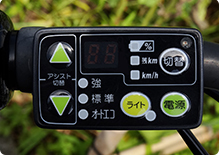 1.After establishing a reservation for a bicycle under an individual agreement, the member who is to use a bicycle will unlock the bicycle by operating the operation panel according to instructions prescribed by SHIMANAMI JAPAN (hereafter, this procedure will be referred to as the “delivery procedure”). An individual agreement under which SHIMANAMI JAPAN lends the member the bicycle is established upon completion of this procedure. 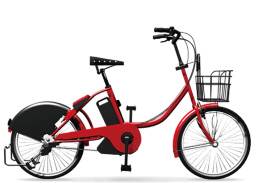 2.Due to reasons relating to the management of the bicycle sharing system or other reason, SHIMANAMI JAPAN may decline to rent out a bicycle to a member. 3.Neither a member may make any claim against SHIMANAMI JAPAN regarding its refusal to rent out a bicycle in accordance with the preceding Paragraph. 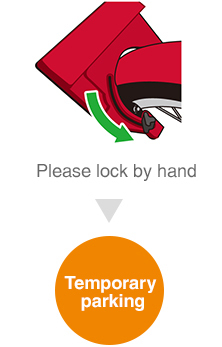 1.The procedure for the return of a bicycle is completed when the member himself/herself manually locks the bicycle and gives notification of its return using the operation panel by the method specified by SHIMANAMI JAPAN (hereafter, this procedure will be referred to as the “storing procedure”). With the completion of this procedure, the individual agreement will terminate. 2.Before returning the bicycle, the member will check to make sure he/she has not left behind any belongings on the bicycle. SHIMANAMI JAPAN will assume no responsibility for belongings, etc. left behind by a member. 3.When a member is unable to proceed with the storing procedure stated in Paragraph 1 due to the lack of availability of a cycle port where the bicycle can be stored, the member or will undertake the storing of the bicycle by moving it to a separate cycle port where storing is possible. 4.When there is an emergency and the member is unable to transfer the bicycle to a separate cycle port, the member or will contact the Management Office and follow the instructions of that office. 5.If a member fails to contact the Management Office as stated in the preceding Paragraph, or if the member fails to follow instructions given by the Management Office and leaves the bicycle outside the cycle port, the bicycle storing procedure will be considered incomplete. 1.When any one of the following applies, SHIMANAMI JAPAN may cancel the individual agreement and may demand that the member return the bicycle. 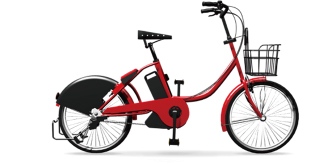 (1)When the rental of the bicycle cannot be continued during the rental period due to the inoperability of the bicycle or a problem in the bicycle sharing system, or other reason . (2)When there has been a breach of contract in this Agreement, an individual agreement or other agreement between SHIMANAMI JAPAN and the member during the rental period. 2.In addition to procedures stated in the preceding Paragraph, the member will make every effort to settle and resolve any accident at the member’s own responsibility and expense. 1.When a member discovers a fault or a malfunction in the bicycle or the cycle port during the rental period, the member will immediately cease the use of the bicycle and will contact the Management Office and follow the instructions of that office. 2.When a member discovers that the bicycle has been stolen during the rental period, the member will immediately contact both the jurisdictional police and the Management Office regarding the circumstances of the theft and will follow instructions of that office. The member will also pay an amount specified by SHIMANAMI JAPAN as the amount of the personal liability for the theft of the bicycle. 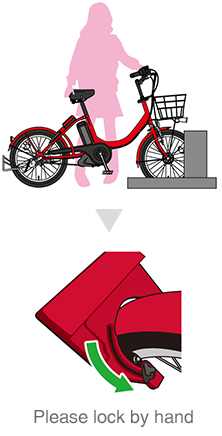 If the battery of a bicycle goes flat or is likely to go flat during the rental period of the bicycle, the individual member will immediately contact the Management Office concerning the state of the battery and will then return the bicycle to the nearest cycle port and take other necessary procedures according to the instructions of the Management Office. 1.Under an established individual agreement, SHIMANAMI JAPAN will provide various types of casualty insurance coverage according to conditions stated below for the period the member rents a bicycle, and will provide compensation to the limit stated below for liability in damages for which the member is liable as stated in Article 32. (2)Indemnity liability: 100 million yen per person, 500 million yen per accident, 50 million yen for property. The indemnity period applies only to while the member is riding a bicycle. Compensation covers legal indemnity liability for physical injury or damage to property to a third party resulting from the use of a bicycle by a member. 3.The member will accept without objection the possibility that the member may not receive compensation through casualty insurance or SHIMANAMI JAPAN’s compensation system due to any loss arising from an accident not reported to the police or the Management Office, or due to a mishap arising from the member’s breach of this Agreement. 1.The charges members will pay to SHIMANAMI JAPAN for the use of the bicycles will be the registration fees, basic fees, extra charges and other applicable charges. 2.SHIMANAMI JAPAN will clearly indicate the respective amounts of the charges and the bases of their calculation by making details public on the website specified by SHIMANAMI JAPAN. When SHIMANAMI JAPAN intends to amend the charges stated above, SHIMANAMI JAPAN will do so by announcing the amended charges on the website prescribed by SHIMANAMI JAPAN one (1) week before they become effective. 1.Extra charges are the charges a member pays when an individual user uses his/her own authentication card to rent a bicycle and uses the bicycle beyond the initial hours of use stipulated in each bicycle agreement type. 1.A member will pay to SHIMANAMI JAPAN the total amount of charges relating to the month in which services were provided by SHIMANAMI JAPAN by the payment due date specified by SHIMANAMI JAPAN in the following month by the method the member selected in accordance with Article 4-1 or amended in accordance with Article 5-1. 2.If SHIMANAMI JAPAN is unable to receive payment from a member according to the method stated in the preceding Paragraph, SHIMANAMI JAPAN may seek to receive payment by another method of settlement established by SHIMANAMI JAPAN. SHIMANAMI JAPAN will undertake periodic checks and servicing of the bicycles and cycle ports according to standards established by SHIMANAMI JAPAN. 1.To ensure that a bicycle is in order and can be safely ridden, each time a member rents a bicycle, the member will make sure the brakes work, the handlebars turn, the air pressure in the tires is adequate, the bell rings, the operation panel works,and the battery is sufficiently charged. 2.When a member discovers that a bicycle is faulty, fixtures are missing or maintenance has been inadequate, the member will immediately report the matter to the Management Office and cease use of the bicycle. 3.If the member persists in the use of a bicycle without reporting an existing problem as stated in the preceding Paragraph, SHIMANAMI JAPAN will deem that there were no problems with the bicycle such as faults, missing fixtures or poor maintenance at the time the member received the bicycle. 1.The member is responsible for exercising due care in the use and storage of bicycles. A member will not engage in any of the following activities while the member is renting a bicycle. (10) (In the case of a member less than 13 years old) Ride the bicycle without wearing a helmet. 1.When a member has parked (hereafter, “abandoned”) a bicycle in a place where parking is prohibited as stated in Sub-paragraph 7 of the preceding Article, the member will be responsible for compensating SHIMANAMI JAPAN for any and all losses caused to SHIMANAMI JAPAN including various costs for the removal and storage, etc. of the abandoned bicycle, applicable usage fees until the return of the bicycle, and any other costs. 2.If the municipal government or police, etc. contact SHIMANAMI JAPAN regarding an abandoned bicycle as in the case of the preceding Paragraph, SHIMANAMI JAPAN will contact the member and demand that the member promptly transfer the bicycle to the place specified by SHIMANAMI JAPAN and as an offender the member will comply with measures under the law. 3.When SHIMANAMI JAPAN has paid costs stated in Paragraph 1 for which the member is liable, the member will promptly pay these to SHIMANAMI JAPAN. A member will return a bicycle in the same state in which it was received when it was provided to the member for rental, excluding wear and tear through ordinary use. If the bicycle including fixtures is damaged, lost, or stolen in part or in whole due to a reason attributable to the member, the member will be responsible for any and all expenses required to restore the bicycle to its original state including the repair or repurchase thereof. 1.If a member fails to return a bicycle within the operating hours stipulated in the applicable agreement type or fails to comply with SHIMANAMI JAPAN’s request to return a bicycle or is late in settling payment, or if SHIMANAMI JAPAN deems the member has absconded with the bicycle when the said bicycle is not returned and the member’s whereabouts are not known, SHIMANAMI JAPAN may cancel the Member Agreement and may take legal procedures including lodging a criminal complaint against the member. 2.If circumstances stated in the preceding Paragraph apply to a member , the member will be held responsible for applicable usage fees of the bicycle until its return, costs required to search for and recover the bicycle, and any other damages caused to SHIMANAMI JAPAN. 3.If due to a natural disaster or any other unavoidable occurrence the bicycle is not returned by the member by the end of the cycle port operating hours, the member will not be held responsible for any losses arising as a result. In such case, the member will immediately contact the Management Office and follow the office’s instructions accordingly. In addition to provisions stated in this Agreement, if in the course of using a bicycle a member causes damages to a third party or to SHIMANAMI JAPAN, the member will be responsible for compensation for such damages. However, this will not apply when the said damages are not attributable to the member. A member may not for any reason seek compensation from SHIMANAMI JAPAN in excess of the amount SHIMANAMI JAPAN receives from the said member as payment for use for a bicycle even when a member sustains damages from use of or inability to use the bicycle except in cases where such damages are a result of wilful intent or gross neglect on the part of SHIMANAMI JAPAN. 2.A member’s personal information it obtains from the application or Member Agreement under this agreement, amendments to a member’s registered information, GPS information recorded on the bicycle concerning locations and routes traveled, or information collected when conducting other business. Furthermore, SHIMANAMI JAPAN itself may use personal information for research, marketing, and other business purposes of SHIMANAMI JAPAN, or may provide it to a third party after its conversion to statistical information or other form whereby specific individuals cannot be identified. 2.If SHIMANAMI JAPAN outsources the management of the Cycling Sharing System business to a third party (all administrative business including computer administration, settlement of payments, customer management, inquiries from customers and the handling of customers, etc. ), and work related to the said business, SHIMANAMI JAPAN will entrust personal information obtained in accordance with Paragraph 1 to the said party after establishing procedures for the protection of personal information. 3.A member may ask SHIMANAMI JAPAN to disclose the personal information SHIMANAMI JAPAN holds regarding that member. If it comes to light that the personal information SHIMANAMI JAPAN holds is inaccurate or incorrect, SHIMANAMI JAPAN will amend or delete the said information accordingly. The following call centers will handle requests concerning the disclosure, correction and deletion, etc. of personal information, requests to cancel the use and provision of personal information, and opinions or other matters regarding the use of personal information. If SHIMANAMI JAPAN revises this Agreement, it will give notification thereof by posting a notice on the website specified by SHIMANAMI JAPAN. SHIMANAMI JAPAN may amend an agreement without prior notification of members. SHIMANAMI JAPAN will send notices and communicate with members via the mobile telephone email address members register in the Member Agreement. SHIMANAMI JAPAN will consider any notice or communication to have been effected at the time it forwards the said notice or communication via a member ’s registered email address. Any disadvantage arising from failure of a notice or communication to reach a member will be borne by the member. When a member is delinquent in executing monetary obligations under this Agreement, the Member Agreement or an individual agreement, the member will pay late payment charges to SHIMANAMI JAPAN at an annual rate of 14.6% on a pro rata basis (calculated daily with one year being equal to 365 days). Both SHIMANAMI JAPAN and the member agree that the Tokyo District Court will be the exclusive court of jurisdiction in the first instance in any dispute concerning rights and obligations under this Agreement, a Member Agreement or an individual agreement. We have indicated to the Fee and Rental Time page. Member's page and bicycles are available immediately after the completion of registration. Basic plan : A fee for use of the use month will be added up, and you pay me from the credit card you registered by deferred payment. The billing date is different depending on each credit card companies. 1 day pass : Please purchase the IC card selling at front desk by advance payment. Please confirm the service term of service. Copyright © Shimanami Japan all rights reserved.